As you got up I watched and hoped you would talk to me. 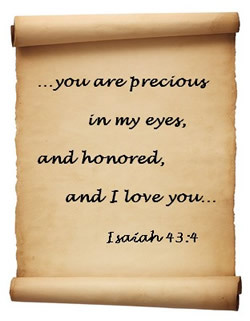 Just a few words, such as thanking me for something good in your life yesterday or last week would do. I wanted to tell you that I could help you accomplish more than you ever dreamed possible if you would just spend some of each day with me. At one point, you waited fifteen minutes in a chair with nothing to do. I waited to hear from you. I noticed at lunch you looked around; maybe you just felt embarrassed to talk to me. You glanced three tables over and noticed some of your friends talking to me before they ate, but you wouldn't. There was still more time left, and I hoped that we would talk. You went home and had many things to do. After they were done, you turned on the TV; just about anything goes there and you spend many hours watching. I waited as you continued watching TV and ate your meal but again you wouldn't talk to me. I love you so much that I wait every day for a thought, prayer or thanks. Well, maybe tomorrow! I'll be waiting. From the dock, the mother grabbed her little boy by the arms just as the alligator snatched his legs. That began an incredible tug-of-war between the two. The alligator was much stronger than the mother, but the mother was much too passionate to let go. A farmer happened to drive by, heard her screams, raced from his truck, took aim and shot the alligator. Remarkably, after weeks and weeks in the hospital, the little boy survived. His legs were extremely scarred by the vicious attack of the animal. And, on his arms, were deep scratches where his mother's fingernails dug into his flesh in her effort to hang on to the son she loved. Dr. Michael Youssef is, as he writes in the preface, a man who “have had much firsthand experience with Islamic practices and thought processes.” He was born in the Middle East (Egypt), spent his early years in the culture of the Middle East, and has since visited that part of the world frequently. As the founding pastor of The Church of The Apostles in Atlanta, Georgia and the founder and President of Leading The Way, a worldwide ministry, Dr. Michael Youssef is committed to the onerous task of changing the world, and leading the way for people living in spiritual darkness to discover the light of Christ. With his background and vast knowledge, he is an authority on the Middle East issues confronting the world, especially on matters pertaining to Christianity. 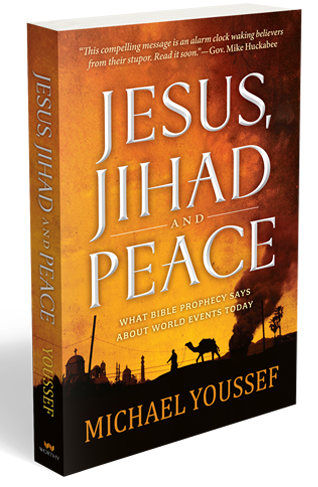 As such, his latest book Jesus, Jihad and Peace: What Does Bible Prophecy Say About World Events Today? is both compelling and authoritative. It is a wake-up call which should be read not only by Christians but everyone who is concerned with the Middle East problem. -Are Allah and Jehovah the Same God? -What Does Islam Teach About the End Times? If you are concerned about the present as much as its implications for the future, this book is a must-read for all. I received an advanced reader’s copy from Worthy Publishing in exchange for honest review. A Nation Under Judgment defines wisdom as "the ability to see things from God's point of view." It reviews our nations social polices, including hunger, poverty, the environment, marriage, homelessness as well as others, from a Scriptural point of view. It empowers readers to consider if our nation is moving away from being One Nation Under God. Horror master Stephen King returns - and his tense, on-the-edge new thriller, Mr. Mercedes, pits an ex-cop against a sociopath scheming to murder thousands. 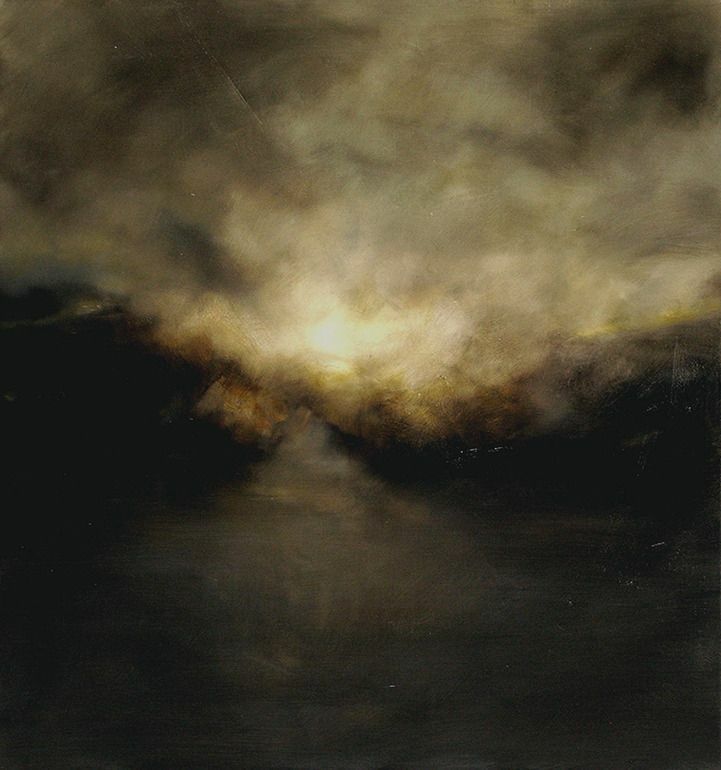 He comes up with an unlikely hero with an unlikely allies while painting a chilling portrait of a killer in a story that is tautly written, and a plot that swerves around without any sense of predictability. Comparatively, his latest turns out to be a quick read with around 400 pages only, and that too without any sight-and-sound of the supernatural beings that usually populated his earlier novels. 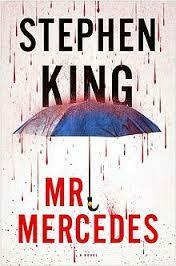 While Mr. Mercedes by Stephen King is void of the supernatural elements with which most readers have identified him, horror is still an integral part of the story as it is immediately played out in the opening sequences of the novel. In an unnamed mid-western city in April 2009, a man driving a stolen gray Mercedes SL500 plowed into a field of predawn crowd of job-seekers lured by the promise of "1000 jobs guaranteed" waiting to enter a job fair at the City Center, leaving behind a pile of dead bodies besides injuring more than a dozen. Two motor patrol cops found the Mercedes an hour after the killings. Soon it was traced to an aging wealthy widow Olivia Trelawney, who several months later committed suicide. But the person who stole the car and massacred the people could not be traced, and the case remained unsolved. It came to be known as the City Center Massacre and the perpetrator was nicknamed the Mercedes Killer/Mr.Mercedes. After retiring from the force, Detective Kermit "Bill" Hodges is still haunted by several cases which he couldn't solve, especially the case of the Mercedes Killer. But as fate would have it, he receives a lengthy mocking letter of nearly two-thousand words from a man claiming to be the Mercedes Killer, who wrote: When I "put the pedal to the metal" and drove poor Mrs. Olivia Trelawney's Mercedes at that crowd of people, I had the biggest "h-----n" of my life! And was my heart beating 200 a minute? It was enough to propel Hodges to give another shot at finding the killer and bring him to justice. Tucked away in a small corner of the city is a house where a twenty-something Brady Hartfield lives with his alcoholic mother, Deborah. On the surface he's like any normal guy, working at the local electronics shop and also driving the neighborhood ice-cream truck. But beneath the skin, he's an entirely different person. Buoyed by his earlier success, he's now planning something bigger, preparing to unleash a devastation that would not only kill and maim human beings but the psyche and spirit of the city itself. Hodges followed up the letter to a social networking site Under Debbie's Blue Umbrella with the help of a net savvy black teenager, Jerome Robinson. And he must act quickly and learn to stay a step ahead of the killer if he is to find and stop him in time. Mr. Mercedes may not be one of King's best books, but that shouldn't take away anything as it is still very much an enjoyable one with edge-of-the-seat suspense, drama, intrigue and action. The storyline is well-conceived and the plot twists make it a real thrill ride. The characters are well-developed and most readers will remember them for a long time, especially Janelle Patterson, Olivia Trelawney's sister, who wants Mr. Mercedes punished for causing her sister's suicide and Janelle's mentally ill niece, Holly. Stephen King outshines himself every time he created a new monster. He paints a chilling and disturbing picture of Brady Hartsfield and his mother, probing his mind and why he did what he did. Mr. Mercedes is a hardhearted detective story which lovers of suspense thriller will greatly enjoy. #Received a review copy of the book from Hachette India.